If you type your last name into Google, what auto-complete suggestions do you get? maldred lord of allerdale is an interesting one. No relation. Also curious is the bottom of the list, mal dress. What is a mal dress? Is that a typo for dress that you get at the mall? Do people really Google for stuff in the mall? That seems ironic, no? The internet killed the mall. mal dress is not dresses at the mall. 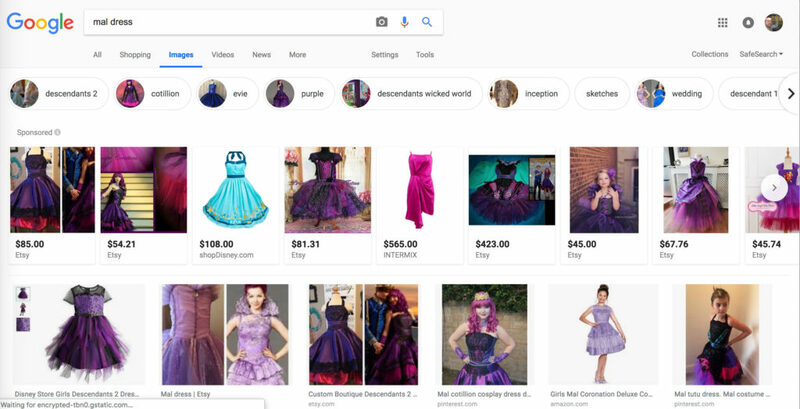 Googling mal dress results in a bunch of purple outfits. Ooooook. Is Mal some sort of name brand? Again, nope. Mal is not a name brand. It’s a Disney character! Legit. Mal is a Disney character. 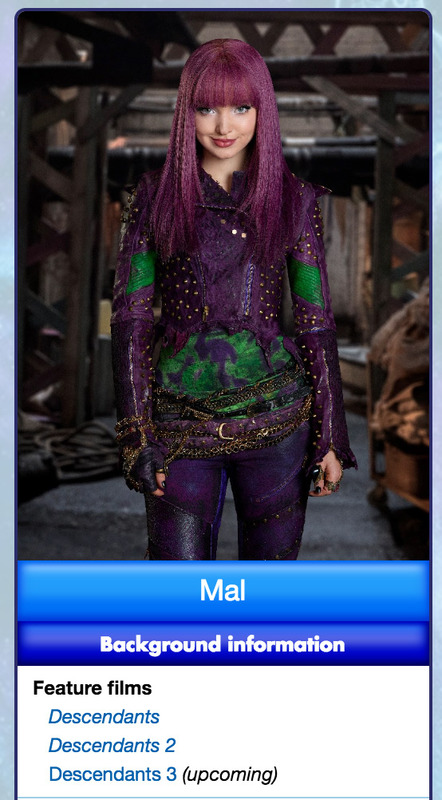 Maleficent (better known as Mal) is the protagonist of the Disney Channel film Descendants. She is the daughter of Maleficent. A natural-born leader, Mal takes charge of carrying out her mother’s evil plan to steal the Fairy Godmother’s magic wand and enjoys drawing and casting spells (but only if needed). As the movie progresses, Mal lets go of much of her former fears and goals, becoming in tune with her true self; thus she abandons the hollow life of evil, for a life of good. With friendship and love, Mal ended filling the hole in her that couldn’t be satisfied through what her mother had taught her. So that’s kinda crazy. My last name is a Disney character. Do you get any fun results for doing a Google auto-complete on your last name? Reichsfuhrer of Schutzstaffel is a mouthful. Interesting that both of our auto-completes results in villains.